Banbury must beat London Edwardians and then rely on their rivals slipping upto clinch a play-off place. 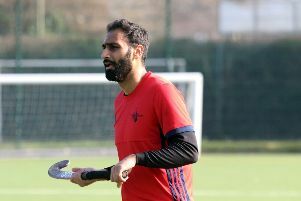 It’s tight at the top of the South Premier Hockey League and Banbury have it all to do if they are to go up to the Nation al League. 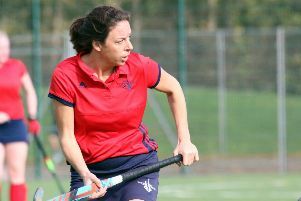 Banbury secured an emphatic victory over Oxford University, running out 6-0 winners in Saturday’s division one fixture. But it was not enough to close the gap on promotion rivals London Edwardians as they scraped a victory against Winchester. That makes this week’s trip to Edwardians crucial in the campaign. But, even with a win, Banbury will also need to win their final game and for their rivals to falter at the last hurdle if the dream of National League hockey next season is to be realised. Banbury got off to a flying start against Oxford when George Brooker intercepted a defensive cross field pass but saw his shot hit the post and deflect wide. But moments later Brooker’s dribble into the circle won a short corner that Josh Nunneley was able to put away on the rebound for Banbury to take an early lead. The home side completely dominated play but could not find the net until Joe Allen, making a welcome return to form, finished off a cross from Jonny Stirrup to double the lead. The dominance continued into the second half but goals began to arrive, starting with a superb individual effort from Tyson Nunneley, picking up Josh Nunneley’s penetrating cross-field pass to beat five defenders and calmly lift the ball over a struggling keeper to increase the lead. The visitors then suffered the same sort of calamitous five-minute spell that undid Banbury last week as Allen grabbed his second goal. Callum White made a return to the score sheet and Barney Williams finished a cross from Jaz Singh to make it six, all in quick succession as the home side were rampant in the last quarter of the match. Manager Steve Brooker welcomed the result but knows there is still much work to do and said: “That was a great performance that has lifted our confidence and killed off the memory of a poor result against them in the first half of the season.